Indian Bollywood actor Ranveer Singh showcases a creation of the “Love Jain” collection during the promotion of his upcoming Hindi film “Gully Boy” at the LakmÈ Fashion Week (LFW) Summer Resort 2019. Two of Bollywood’s biggest stars have premiered “Gully Boy”, a still rare female-directed blockbuster that pokes at enduring taboos, at the Berlin film festival. Ranveer Singh and Alia Bhatt threw their sizeable industry clout behind the tale, unveiled Saturday, of a couple yearning to break out of their Mumbai slum and traditional Muslim families to realize their dreams. “It’s got commentary on the class divide, it’s got commentary on choices young people make-whether they want to be stuck in something that gives them no fulfillment versus pursuing their passion,” said Singh, whose character Murad has a meteoric rise after posting his first rap video online. “I think it’s got a whole variety of stuff embedded between the lines that may just have a positive social impact.” Bhatt’s character Safeena wears a traditional Muslim headscarf but resists her family’s attempts to arrange her marriage and wants to become a surgeon. Murad and Safeena have loved each other since childhood but have to keep their relationship secret from their parents so they meet for illicit trysts. Singh, who does the rapping in the film inspired in part by Mumbai hip-hop stars Divine and Naezy, said it took nine months before he felt camera-ready. “I’ve been into rap and hip-hop since I was a little kid,” he said. “I started out listening to MC Hammer and Vanilla Ice and Will Smith and graduated to a little bit harder gangsta rap like Tupac and Wu-Tang Clan and NWA then Eminem.” The film sees Murad honing his talent and turning the squalor and tension of his home life into poetry until a popular local rapper convinces him to try hip-hop. But soon Murad and his mother get kicked out of their home by his violent father, who forbids him to perform and has taken a much younger second wife. In a stunning scene, Murad’s father tells his mother that she is useless in bed and she shouts back: “You have never learned to touch a woman properly.” “To me, him getting married the second time is not as flammable and volatile to me as the fact that his first wife cannot afford to leave,” director Zoya Akhtar told AFP. “Because she’s not fiscally empowered to leave and there’s nowhere to go. That to me is the bigger problem. “The fact is, they shouldn’t be taboo subjects because they exist and it happens.” Akhtar, who recently made an episode of the Netflix series “Lust Stories” exploring female sexuality, said she was a “huge fan of hip-hop” as a music of liberation. “When I was editing my last film, my editor showed me a video of a 21-year-old kid called Naezy and he had recorded this track on a phone and it was put up on YouTube and he was singing about his life, his socio-economic space, his family and he had an insane flow, an incredible writing style and it was legit,” she said. “I just realized there’s an entire movement called Gully Rap-gully meaning street, lane. 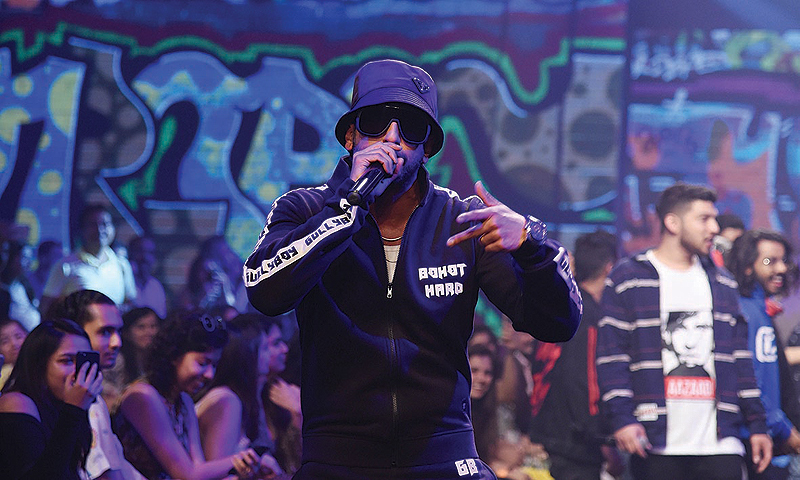 This urban youth is not represented in the mainstream at all and they’re telling stories.” “Gully Boy” culminates in a rap battle to be the opening act in Mumbai for US rapper Nas, who served as an executive producer on the film. Akhtar and her stars hailed a growing generation of female filmmakers in India. They also welcomed the gradual arrival in Bollywood of the #MeToo movement against sexual misconduct as well as the “Time’s Up” campaign against industry sexism. “It’s nothing short of a revolution and I think it’s amazing. It really exploded and in that explosion there was some collateral damage,” Singh said. “But I think it’s a very significant point in history especially for a culture that has been patriarchal for eons.” Bhatt agreed but said she feared a chilling effect in the industry.